In my last post I looked at the tri-partite nature of what seems to be us, viz. body, psyche-soul, and spirit. Today I want to talk about the body, that much maligned part of us that gets such a hard time from some streams of religion thought. So let me turn the tables on such a misperception of the our physical manifestation. I guess that St.Pauls use of the term ‘the flesh’ has got us into this anti-body thing within the subliminal systems of much Christian belief and practice. I reckon that he was referring to the dysfunctional ego or wounded psyche-soul, but the Egyptian Ascetics quickly became the Model for authentic spirituality as they attempted to find God through the subjugation of the body and its supposedly evil desires. Followers of the Nazarene have been plagued with this pseudo-gnostic take on the body throughout the last two millennia, causing much self torment and pain along the Way. I see our material form as a living tabernacle, a helper rather than a hindrance. When restored into the alignment of Spirit flow it becomes an invaluable part of our space-time experience, as much a part of Me as our psyche or spirit spark. It is here for a reason and not a mistake as some spiritual traditions would have us believe. Certainly it is limited and transitory but it is an invaluable friend as it carries our conscious Self through life. One of the body’s greatest gifts to us is its early warning system. The central nervous system is an amazing phenomenon with its autonomic responses that kick in before conscious thought gets a chance to catch up. Such a wonderful early warning system can be a blessing and a curse, at least from our limited vantage point. This sublime sensory network of nerve endings serves a multifaceted purpose, one of the most important being the receptor and interpreter of outer and inner presence. 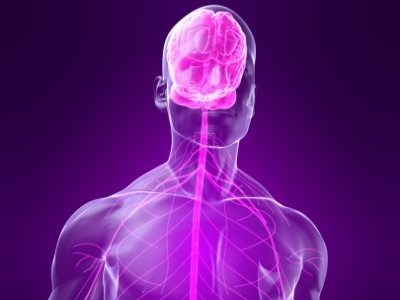 For those of us who have experienced an overwhelming sense of Other at certain times in our sojourn, the central nervous system has played an important role. The shivers or goosebumps that came out of nowhere, the changed breathing, have all been transmitted to our consciousness by our inner wiring. All our sensory feelings of Divine Love and Presence have flowed through our internal friend, conveying the safety of surrender to the Source of All. However, the central nervous system is also vital for our survival and linked to our older animal instincts. Ultra sensitive to our outer world, our automatic responses to threat are triggered by our inner early warning system. Here, I am indebted to the work of Dr Peter Levine and his studies on the parallels between animal and human responses to threat and subsequent trauma. Levine suggests that our autonomic reactions fall into one of five categories. When we stop what we’re doing and observe. We get out of our threat filled environment ASAP. Not being able to escape we decide that we have a fair chance of survival if we retaliate to the onslaught of our perceived threat. Here we play dead, allowing the other to have their way with us in the hope of ultimate survival. May I suggest that many of our supposed psychological or spiritual problems are in fact due to the experience of past trauma and one or more of the above autonomic responses. Simply put, the memory of trauma isn’t simply conceptual but a stored energy problem, one that cries out for release. Once the trapped bodily dynamic is released the memories, lying within the psyche lose their power. Perhaps many cognitive based counselling and therapy techniques are cases of putting the conceptual horse before the bodily horse. I wonder. When I look again at Yeshua’s exorcism of the Gadarene demoniac I see an amazing release of pent-up energy at work, metaphorically described as a nearby herd of pigs rushing to their deaths over a nearby cliff. The result? One now sitting, clothed, and in his right mind, wishing to join up with the Nazarene’s motley band of followers. The demoniac, nicknamed Legion, had clearly suffered trauma in his past life, a trauma that debilitated him to such an extent that he took to living among the dead. My theologian friend, Dr Gary Burnett, of Union Theological College, Belfast suggests that the demoniac’s childhood observations of historical, mass crucifixions in the Gadara area, those carried out by a retaliating Roman Legion, may well have been the source of his painful psycho-spiritual predicament. An impressionable youngster who experiences the horrific sights and sounds of such barbaric killings can’t help but be traumatized. But who knows? Gary’s ideas would certainly would tie in with Levine’s theory of trapped debilitating trauma; a trauma that was released by the demoniac coming into mimesis with the trauma free Nazarene. The physical manifestations of the exorcism process are certainly compatible with the shaking, tremors and involuntary limb movements of recovering, traumatized animals. Perhaps we’re more animal than we’d like to acknowledge in our concept based world that we identify as reality. In my next post I’ll look at how our stored traumas may give birth to the ego and its defensive postures. Hey Dylan, good post. Have you read anything by Alexander Lowen? I just finished ‘Fear of Life:The Wisdom of Failure,’ I highly recommend it. The entire book deals with this issue.